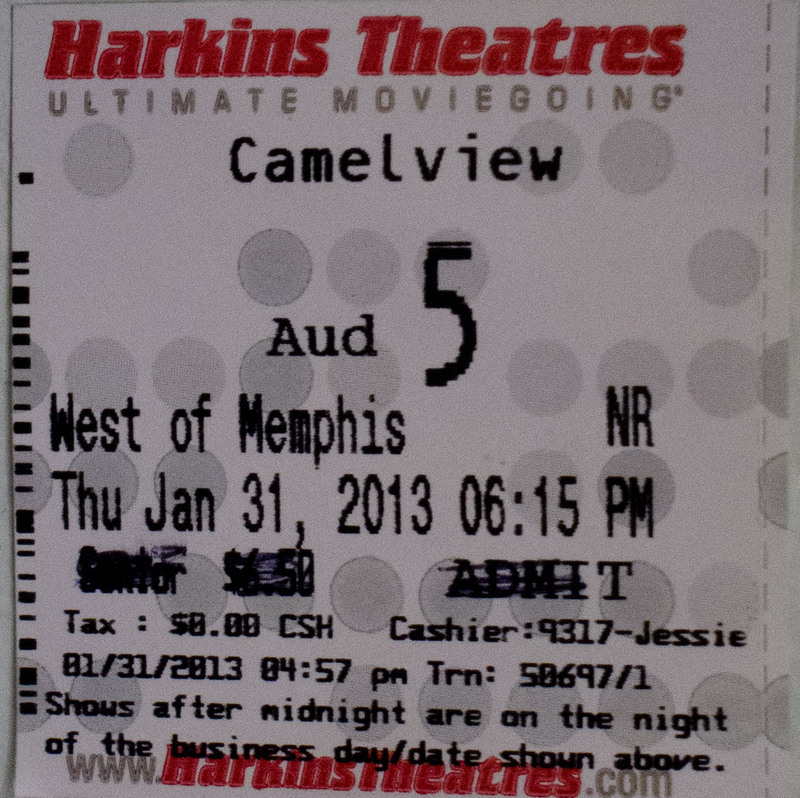 I accepted an invitation this evening to view “West of Memphis.” Documentary about the wrongful conviction of three young men (teenagers at the time) for a murder of three eight year old boys in 1993, in a small Arkansas town. After viewing this movie I was appalled at our justice system and how immoral, and dishonest our judicial system is. These men served 17+ years for a crime they “clearly” did not commit. Please, I strongly urge you to see this movie, it is a real eye-opener into our legal system filled with egos and liars. This movie was the official selection at the 2012 Sundance Film Festival and the official selection at the 2012 Toronto Film Festival.